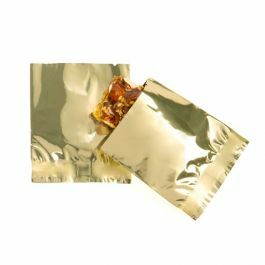 Our SVP34G is part of our metallized heat seal bag line and comes in a cool shimmer gold color. 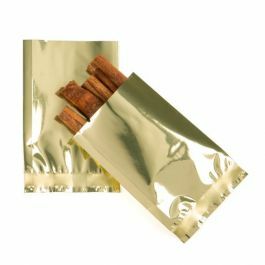 At 3" x 4" this 2.6 mil bag is great for packaging single servings of ground coffee, powdered drinks and teas. 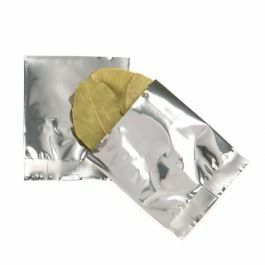 The metallized high barrier properties of this flat pouch protects against moisture, oxygen and UV light. 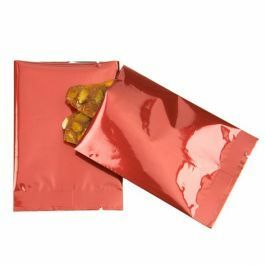 The SVP34G bag is from our line of metallized heat seal bags, designed with our highest level of protection. 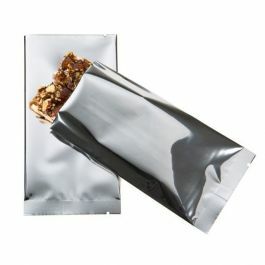 It measures 3" x 4" and works well for single-serve items such as coffee, energy drinks, and snack items. 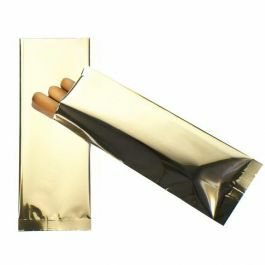 This 2.6 mil flat pouch comes in a light, glossy Shimmer Gold and is open at the top (width side) for convenient filling. 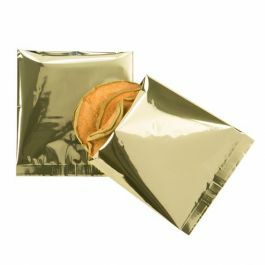 Tear notches located on either side of this package enable easy opening. 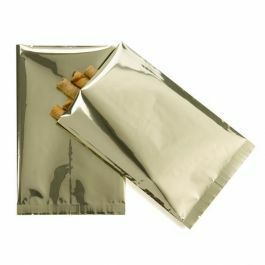 A 1/2" bottom seal and a 5/16" back-center seal provide durability. Perfect for storing your baseball cards. 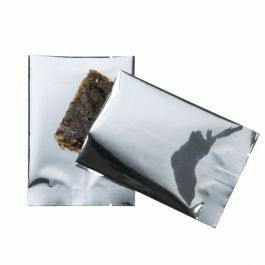 Uses a standard hand sealer. 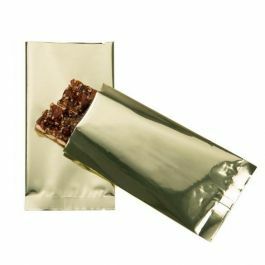 Our SVP34G is ideal for packaging single-use items like powdered mixes.